I’ve been travelling home from California these last couple days, but I’m back home now and looking forward to blogging about all the wonderful places we visited and some of the great food we enjoyed! And I’m very pleased to be co-hosting this foodie blog hop with the Hella D of Helladelicious and Alex of A Moderate Life. 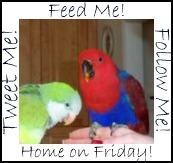 The linky is called Feed Me, Tweet Me, Follow Me Home and it is a true blog hop. This means, that if YOU wish to run the hop on your blog, all you have to do is get the linky code from the bottom of this page and put it on your blog for your readers to join in. The rules are very simple, because it is a “follow me” linky. 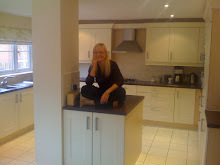 Just enter your link to your blog below, Follow me on Twitter and ‘Like’ The 21st Century Housewife on Facebook. Or you can follow me here at The 21st Century Housewife on Blogger or at The 21st Century Housewife’s Kitchen. If you drop me an email or comment letting me know where you have followed or ‘liked’ my blogs, I will follow you back in all those places. You can use your blog badge as your thumbnail if you wish and you can link up any time during the week. It is that simple and hopefully this will help us all gain new visitors to our blogs and expand our audiences while giving us new places to explore and making the bloggiesphere a more friendly place! Visit as many other blogs as you like, to make new friends and follow their blog, grab their tweets and RSS feed if you do not already. If you do grab their info, please leave them a comment so they know they have a new friend. If someone visits you from Feed Me, and grabs your info, please return the favour. This is a great way to increase your followers and promote your blog, so please pass the word around! Thanks for hosting April. (BTW, the royal couple are adorable!) Hope you're not feeling too jet-lagged. Thanks for linking up! Re the jet lag - I'm doing pretty well this time, I guess I get better with all the practice :) Have a great weekend!